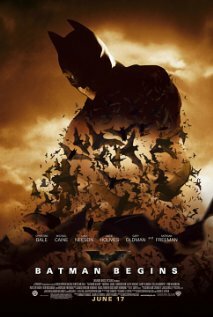 Batman Begins fantastik but END just better den average. Direktor Christopher Nolan use Richard Donner Superman as a guide and, strukturally, both movies very similar wit strong, backstory-rich, character-driven first halves dat eventually give way to typikal nonsensical-actiony back halves. Direktion and cinematography are brilliant while akting and writing are good – for de most part. His parents killed by two-bit thug during botched robbery. And so, Orphan Bruce raised by cockney butler, Alfred, played by Michael Caine in one of movie’s many strong points. Alfred prove alternately firm, warm and supportive, a strong father figure wit a wry sense of humor. De type of dad you want helping you wit your homework and backing you up in a bar fight. Bruce grow up, obsessed wit twin notions of fear and justice. Dis preoccupation take him to Asia where he go undercover as smuggler – only to get as busted as Big Bird at a Korean massage parlor. He end up in prison where he reskued by mysterious man who go by name Ducard. Ducard work for man called Razalgool, leader of ninja club called League of Shadows. Dey seem like a nice, capable bunch and Bruce train wit dem. BUT when he asked to kill poor farmer guilty of crime, Bruce refuse because it go against his moral code – so, instead, he end up burning down de clubhouse killing Razalgool, a bunch of ninjas and, oh yeah, dat poor farmer. 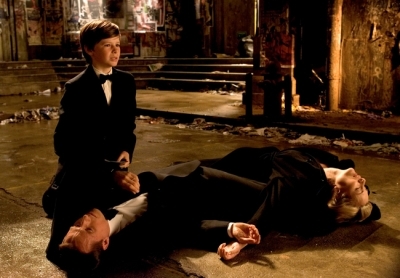 Bruce return to Gotham city where he resume life – much to surprise of everyone who thought he was dead. Using tech from Wayne Corp. R&D, he create Batman persona and go out at night, fighting crime wit help of Sergeant Jim Gordon, one of few good cops in Gotham. Like Michael Caine, Gary Oldman deliver terrific supporting performance, playing off equally great Christian Bale who be de best Batman yet – and pretty darn good Bruce Wayne as well. 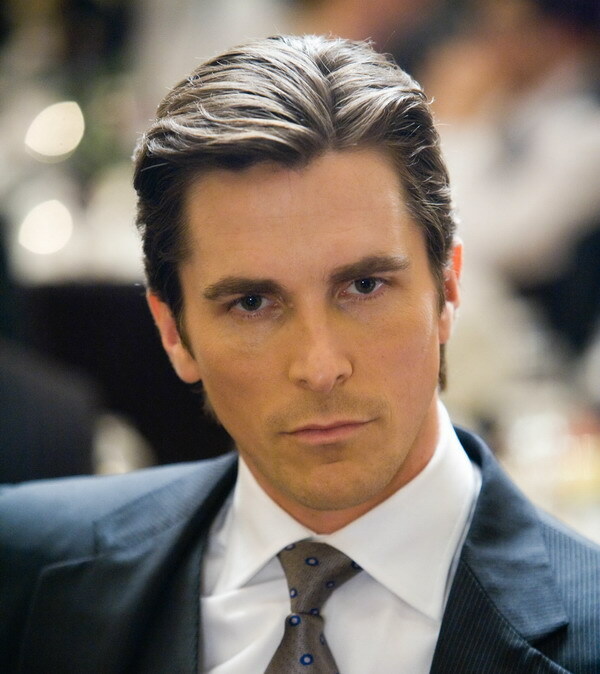 Still, monster feel Bale’s Brucey missing touch of charm. Villainous scarecrow lacing Gotham water supply with fear additive. But it only work when breathed in. Luckily for his mysterious boss, he get his hands on water vaporizer (?) from Wayne Corp. Mysterious boss turn out to be – surprise! – Razalgool who not really dead and really – surprise! – Ducard! After kicking crap out of Bruce Wayne and burning down Wayne manor, Raz plan to use water vaporizer to aerosolize fear additive in water supply and create chaos on Gotham! Why? Well, um, he a villain and villains do bad tings, right? Final thirty minutes of movie as ridikulous as bad guy’s plan. 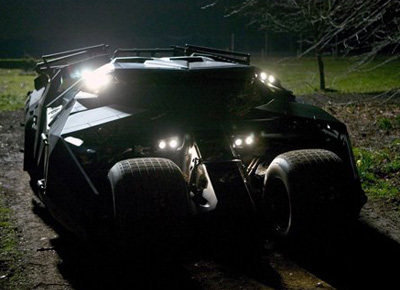 It include a speeding train, hysterical citizens, and Jim Gordon using Batmomissiles to take out tracks. It all a bit silly, especially in comparison to rest of movie dat been pretty brilliant up to dis point. Verdikt: One of de best superhero movies me have reviewed (minus Katie Holmes) until de last 30 minutes. Rating: 8.0 out of 10 chocolate chippee cookies.